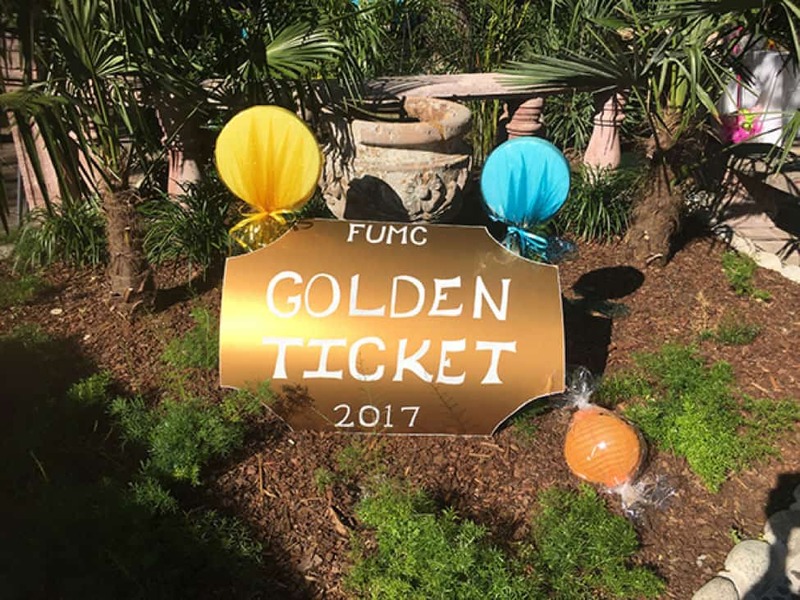 Willy Wonka is an imaginative and fun fundraiser theme. Your guests will enjoy the opportunity to purchase various sweet treats to help raise money for your non-profit. It can’t get any sweeter than this. First, select the title of the event. An example is: A Night of Pure Imagination. Create invitations with colorful candy illustrations. Add the name of your non-profit, the date, time, location, RSVP information and website address in eye-catching fonts. Make sure the fonts are easy to read. Include the same artwork in your event program. Your décor should be visually appealing for your guests. Use a variety of bright colors throughout the room. Create life-size candy décor, such as lollipops in a variety of colors. You can also use crape paper to create large, colorful flowers. Sticking with the theme, a purple paper hat with a large letter W would also be nice table décor. Donated candy can also be used as décor for your Willy Wonka themed fundraiser event. 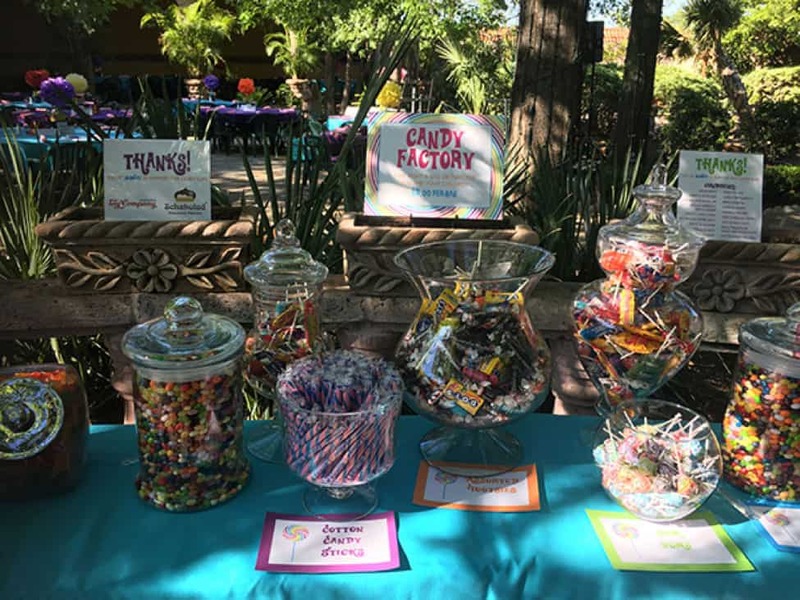 Place the candy in large, glass containers to create colorful, eye-catching décor that can be used on tables throughout the venue and as table centerpieces. There are so many varieties of candy you can use, including candy sticks, assorted Tootsie Rolls, Jelly Beans, lollipops, etc. The possibilities are endless. Don’t forget to include a decorative sign to thank the candy donors individually. Use the donated candy to raise money for your non-profit. Create an area called the Candy Factory. Fill tables with assorted types of candy to sell to guests. Display signs incorporating the theme throughout the Candy Factory. Here’s an example of sign verbiage: Candy Factory—Take Home a Bag or Two For You and Your Children. $3 Per Bag. Include signs or stickers thanking your supporters who donated the tasty treats. Include decorated tables featuring your auction items. Display colorful themed fliers about all the products in acrylic photo displays on the tables. Include a description of the items, who donated them, opening bid amount and their value. You can also use colorful photo frames to display the fliers to add pops of color to your décor. Our software can create these display cards for you. Find out more! Link to our contact submission page please. We would love to receive feedback about this blog. Please comment to let us know if it was helpful. If you would like information about how we can help with your fundraiser, visit our website or contact us.